5 Ways to Have More Fun Wake Surfing! The most important thing to remember when surfing... is to have FUN! 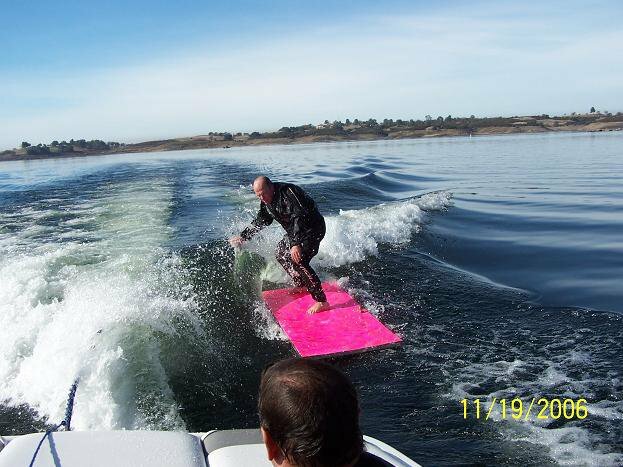 Here are a few ideas how your crew can get creative and have more FUN wake surfing! #1- Ride something new - try a longboard, a skim board, different fin set up, SUP board, hell even try surfing something that's not a surfboard! #2- Wear a Costume! Surfing is all about having fun and what's more fun than getting dressed up in a goofy costume. #3- Try a new trick! Everyone at some point gets comfortable and stagnant in their progression. When this happens any sport starts to become boring. Keep pushing yourself outside your comfort zone and try something new.. You can do it! If you're not falling you're not learning anything new. #4- Play a game of S.U.R.F. with a friend and push each other to get better. #5- Double's surfing! Get two people surfing together on one wave or turn it up a notch and call your friend with another boat and pull a wake surf party bowl with multiple people surfing in it! Bonus! - Double Boat Wake SUP Surfing! Check out the video on SUP ATX's Wake SUP boards!